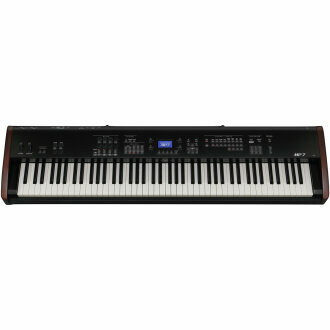 The Performer's Stage Piano with stunning Acoustic Pianos, Vintage Electric Pianos, Classic Tone wheel Organ, Masterful MIDI Controller and Impeccable feel, the Kawai Kawai MP-7SE Digital Stage Piano is the stage piano for the professional musician that does not accept compromise. Available until 11 PM (EST) today. Mention special code 20L-HV7H when you call.